Ana Szilágyi was born on 29 of March 1971 in Bucharest in a music family. She frequented the Music High School in Brașov (Piano: Mira Popescu) and the „George Enescu“ Music High School in Bucharest (Piano: Cătălina Popovici). Between 1991-1997 she studied composition at National University of Music Bucharest with Dan Dediu and Aurel Stroe (1997 M.A.). Between 1994-1995 she received a scholarship at „Hochschule für Musik“ in Trossingen (Germany) where she studied composition with Jürgen Weimer. At National University of Music Bucharest she studied also organ with Lidia Sumnevici and wrote a PhD thesis (2009) with the theme The rapport time-form in the music of 20th century. Between 1996-1997 she was a pianist accompanist at „George Enescu“ Musik High School in Bucharest and between 1997-2002 an assistant at the „Transilvania“ University in Brașov, at the Music Faculty, teaching Musical Forms and Analyses. She received in 2002 the German Herder Grant (Hamburg) and went to Vienna. Between 2003-2006 she studied electroacustic composition with Dieter Kaufmann and got a Magister Degree at the „Universität für Musik und darstellende Kunst” in Vienna. Between 2003-2007she studied also theory of music with Dieter Torkewitz at the same University and got the second Magister Degree. 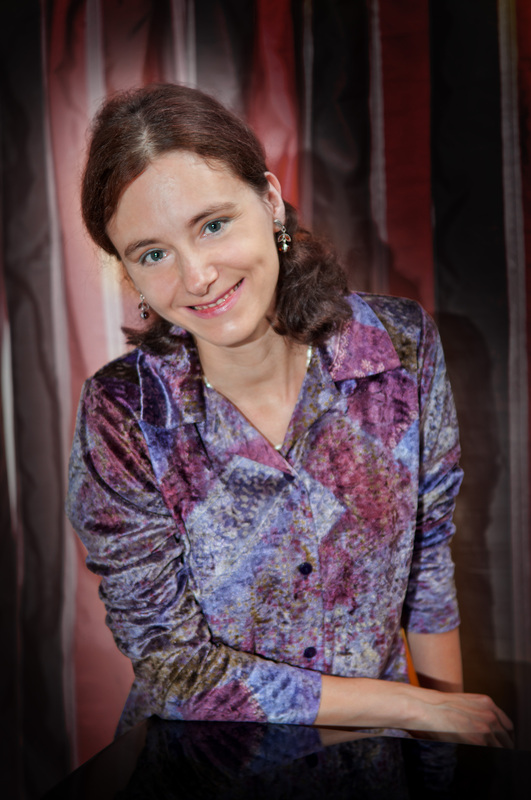 In 2011 she got the second PhD at the „Universität für Musik und darstellende Kunst” in Vienna with the theme Incommensurability in Aurel Stroe’s Music Referring to his Opera-Trilogy „Orestia”, for which she received the Award of Excellence 2011 from the Ministry of Science and Research in Vienna. Actually she is lecturing at the University of Vienna, at the Institut of Musicology. Ana Szilágyi received for his compositions many prizes, honours and grants., i.e. : German Herder-Grant, Austrian Prize Theodor Körner for promotion of science and art under the high care of the Austrian president, 3th Prize for radio play piece The School Time at the Technical University of St. Pölten (Austria). In 2012 she got a fellowship from the Ministry of Education, Art and Culture, Vienna. She received also other prizes in Bucharest, Cluj and Brașov. Her works were performed in many towns: Bucharest, Brașov, Bacău, Ploiești, Sinaia; Vienna: Wiener Konzerthaus, „Wien Modern“ Festival, „Electronic Spring“ Festival at Alte Schmiede, Arnold Schönberg Center, Romanian Cultural Institut of Vienna, Society of Music Theater; Cork (Ireland); Merkin Concert Hall of New York (USA); Tokio (Japan). In 2012 Electrecord produced a CD („Flights“, EDC 1074) with seven works of her. She had several Radio and TV broadcastings with her works, also articles and interviews in newspapers and revues: Der Standard (Austria), Actualitatea muzicală, Muzica, Gazeta de Transilvania (Romania), Ditutto (Italy). Her work covers several musical genres, like symphonic, chamber music, vocal, choral, electronic, multimedial. She also published musicological articles and studies in the periodical Muzica and in the volume Divergenzen – Konvergenzen. Hermeneutische Paraphrasen und Phantasien (Laaber, 2010) and edited 2011 together with Sabina Ulubeanu the book Aurel Stroe and the European Musical Tradition.